Experts testified in a trial about partisan gerrymandering and the constitutionality of Pennsylvania’s congressional district map. A group of Pennsylvania voters claim that the congressional district map created during the 2011 redistricting process is an unconstitutional partisan gerrymander. The plaintiffs argue that the map was drawn by a Republican-controlled legislature to create as many Republican House seats as possible. Congressional districts are redrawn every 10 years following the U.S. Census. In the 2012 election, the Republicans won 13 out of Pennsylvania’s 18 districts, even though they only won 49 percent of the votes in the state. The plaintiffs argue that the current map is unfair and are requesting that a new map be created before the 2018 midterm elections, when all 18 of Pennsylvania’s congressional seats will be up for election. One of the named plaintiffs, Jean Shenk, testified that the current map makes her vote “a waste.” Shenk lives in the Pennsylvania’s 15th congressional district, which includes Bethlehem and Allentown in Lehigh Valley, but not Easton. The district then extends toward the south central part of the state. Shenk, a Democrat, testified that her views and values do not align with her Republican congressman and the other voters in her district that reside outside of Lehigh Valley. William Schaller, director of Republican district operations, testified that he was given the task of developing the western half of the 2011 congressional district map and the Senate developed the eastern half. Schaller confirmed that partisan data was one of the factors that was considered in creating the map. Additionally, he considered population, past districts, U.S. Census race data, the residencies of the incumbents, and the Voting Rights Act. Erik Arenson, top aide to then-Senate Majority Leader Dominic Pileggi, testified that partisan data was considered and that leaders “intended to respect incumbency” in the new map. Daniel McGlone, an analyst with the map and data-processing company Azavea, testified that Pennsylvania’s district map shows a pattern of using election results and voter information based on past election returns and party registration information. McGlone says that this information was used to cluster Democratic voters into as few districts as possible, resulting in a map that consistently favors Republicans in most districts. Princeton University professor Nolan McCarty challenged McGlone’s conclusions. Professor McCarty studies politics and legislative polarization. McCarty argued that, “Elections are determined not just by the underlying partisanship, but on the candidates that choose to run.” McCarty stated that Pennsylvania Democrats have a reasonable probability of winning 8 out of the state’s 18 congressional seats, but that the party had underperformed in the past three election cycles. Anne Hanna, expert witness in engineering and data analytics, testified that it was feasible to draw politically neutral maps. Hanna compared the 2011 congressional district maps with maps from 1972 and 1992. Hanna testified that the older maps were reasonably compact, contiguous, and preserved communities of interest. Hanna outlined five potential ways to follow these principles without using partisan data. 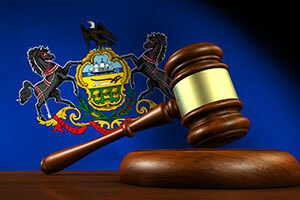 The lawsuit made its way to the Pennsylvania Supreme Court, which ruled that gerrymandering occurred and that the gerrymandering violated the Pennsylvania Constitution. The court gave the parties a chance to agree upon a new map, but political divides prevented that from happening. The court will now take responsibility for drawing a map that does not impermissibly favor either party.